Rumor: Activision to Purchase Take Two Interactive? 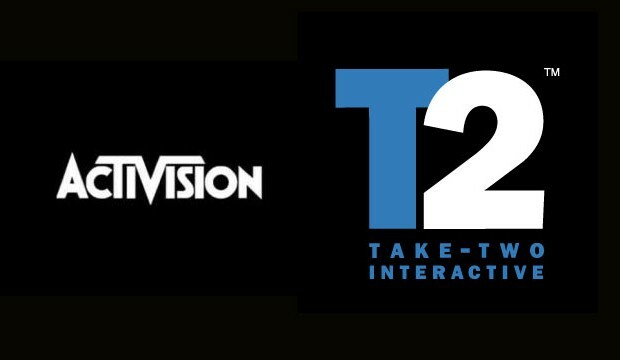 Word is currently circulating around that Activision is looking into purchasing Take Two Interactive. According to the rumors, Take Two and Activison are planning on making a movie studio for GTA V, a game made by Rockstar Games, which is owned by Take Two. Take Two stated that they "admire Activison's deep connections with Hollywood" and want to further advance with the company. If the deal were to go through, Activision would become the owners of some of the worlds biggest game developers. Activision is known for their ownership of the Call Of Duty series and recent work with Bungie. This purchase would give them complete control over Rockstar Games, which could influence GTA in a very big way. Take Two is a company that should not be underestimated by any means. Formed back in 1993, it has come a long way in the twenty-one years that it has been in business. Take Two owns both the rights to Rockstar Games and 2K Games, which could be a big plus for Activision, if the purchase were to go through. When the rumors started going around about this deal, Take Two's stock jumped by a four percent margin in a couple of hours. This is simply a rumor, although Activision really has no reason to say no, if Take Two throws up the right price that is. Back in 2008, EA attempted to purchase Take Two for roughly $2 billion and they declined. Not only would one of the biggest corporations in gaming become bigger, but they would also be able to enter the movie business with some of Take Two's games. It would also give Activision the ability to balance out the number of franchises they currently own. Mike Hickey, the analyst that was able to get a hold of this information, also stated that if this purchase were to happen, it would give Activision more room to work with. Games such as Read Dead Redemption, NBA 2K, Borderlands, and Bioshock would become part of the company. Although it is simply a rumor, what are your thoughts about Activision possibly acquiring Take Two? Would it be a smart move, or a bad one?